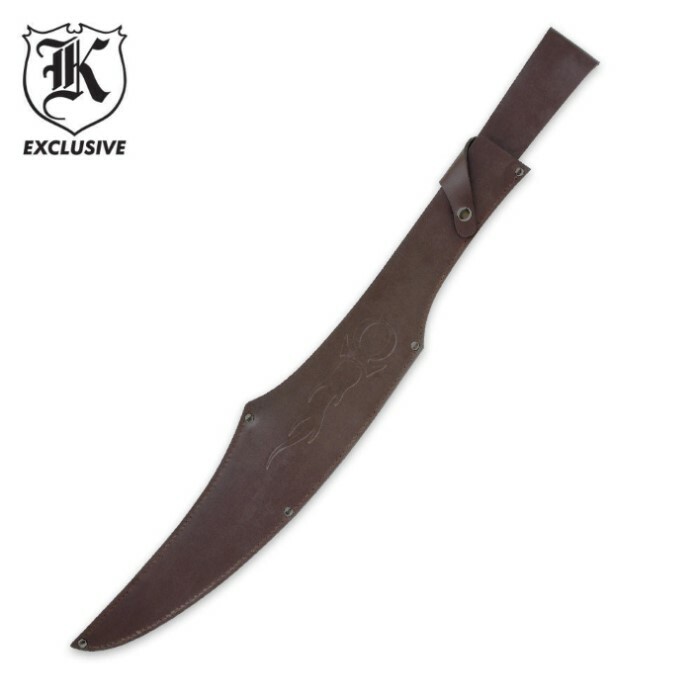 Heat Forged Warrior Sword Sheath | BUDK.com - Knives & Swords At The Lowest Prices! The person who wrote HOW. It is unfair to put a poor review just because you lack the knowledge of something. Very ignorant of you. When you unsnap the button clasp, you can slide the wider part of the sword into the sheath. then you clasp the button on to hold it in all the way. Dont write bad reviews just because you dont know something. This is a very nicely built sheath. Unlike most sheaths I've experienced before, this one has very thick leather and holds it's shape when drawing and returning the sword. I really recommend this sheath. Also, as a bit of knowledge , to account for the big crescent in the blade of the warrior sword, this sheath is made split in two near the top for 6 inches or so. Do not let that discourage you though, this is one tough product! I found the sheath to be well made and an perfect fit for the sword. 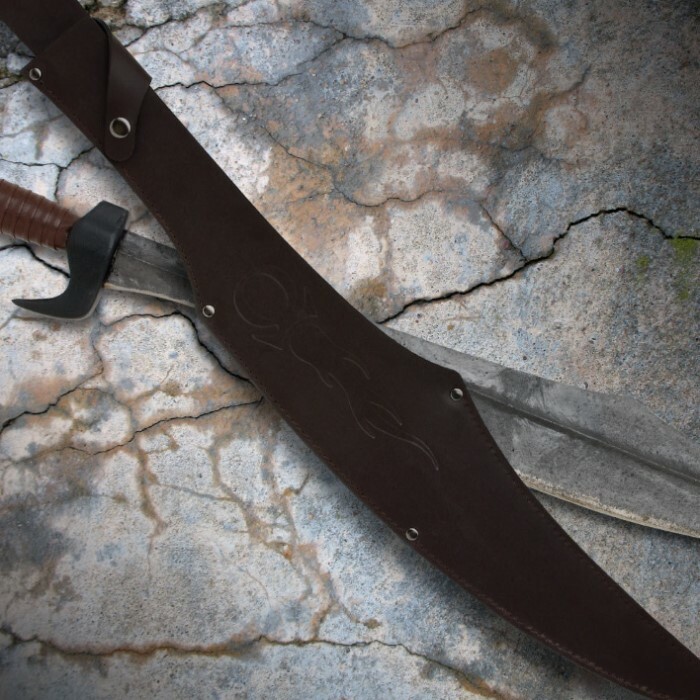 The sword would appear to have difficulty fitting into the sheath given its shape, but the sheath opens on the side near the strap allowing the blade to slide easily in. The same way a parang/machete sheath works. The leather is reasonably thick and sewn and riveted. Highly recommended. I waited for a long time to get this piece and it's every bit worth the wait. I have a small collection of swords and this is definitely an inspiring addition to it.